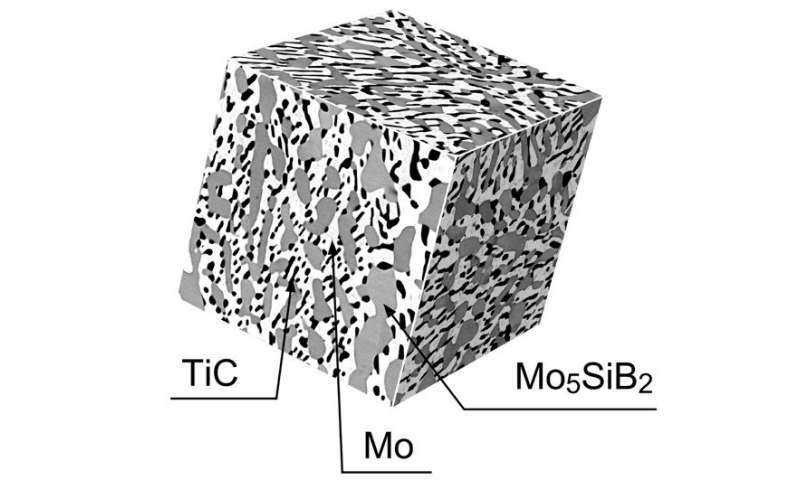 The first-of-its-kind study, published in the open-access journal Scientific Reports in July 2018, describes a titanium carbide (TiC)-reinforced, molybdenum-silicon-boron (Mo-Si-B)-based alloy, or MoSiBTiC, whose high-temperature strength was identified under constant forces in the temperature ranges of 1400oC-1600oC. The performance of heat engines is key to future harvest of energy from fossil fuel and the subsequent conversion to electric power and propulsion force. The enhancement of their functionality may determine how efficient they are at energy conversion. 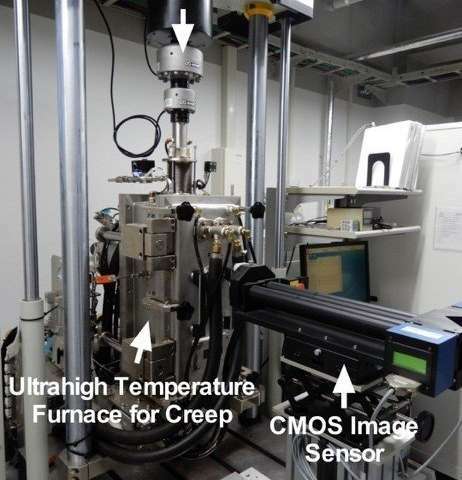 Creep behavior—or the material's ability to withstand forces under ultrahigh temperatures—is an important factor since increased temperatures and pressures lead to creep deformation. Understanding the material's creep can help engineers construct efficient heat engines that can withstand the extreme temperature environments. All experiments were performed in a computer-controlled test rig under vacuum in order to prevent the material from oxidizing, or reacting with the any potential air moisture, which could ultimately result in rust formation. These findings are an important indicator for MoSiBTiC's applicability in systems that function at extremely high temperatures, such as energy conversion systems in automotive applications, power plants, and propulsion systems in aircraft engines and rockets. 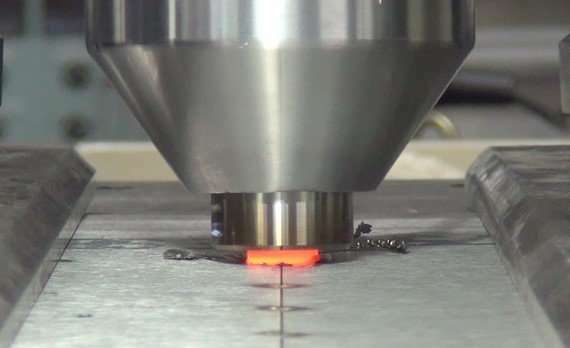 The researchers say that several additional microstructural analyses are needed in order to fully understand the alloy's mechanics and its ability to recover from exposure of high stresses such as large forces under high temperatures. They hope to keep refining their findings in their future endeavors. "Our ultimate goal is to invent a novel ultrahigh temperature material superior to Nickel-based superalloys and replace high-pressure turbine blades made of Nickel-based superalloys with new turbine blades of our ultrahigh temperature material," said Yoshimi. "To go there, as the next step, the oxidation resistance of the MoSiBTiC must be improved by alloy design without deteriorating its excellent mechanical properties. But it is really challenging."